There are many books that I wanted to read this year and didn't get around to, but perhaps the one I most regret not reading was A DISCOVERY OF WITCHES by Deborah Harkness. I definitely plan on reading it in the upcoming months, especially since the paperback version is being released soon. So many people I know just loved it! 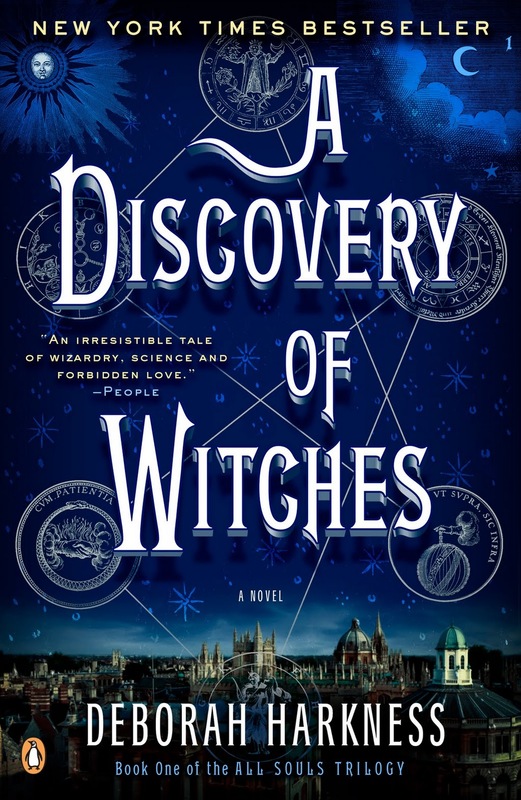 I have a copy of the new paperback version of A DISCOVERY OF WITCHES to share with one lucky reader. To enter, just fill out the form below before December 22nd at 11:59 p.m. ET. I will randomly select and notify the winner the following day. This contest is open to those of you with US addresses only. Good luck! I own the hardcover and still haven't read this. I know, I MUST. I got this from the library and started it, but just couldn't get interested, in spite of all the rave reviews! Friends have raved about this one -- I need to read it, stat! I have heard so many wonderful things about this book!